Chris Burns all set for World Championships this weekend. 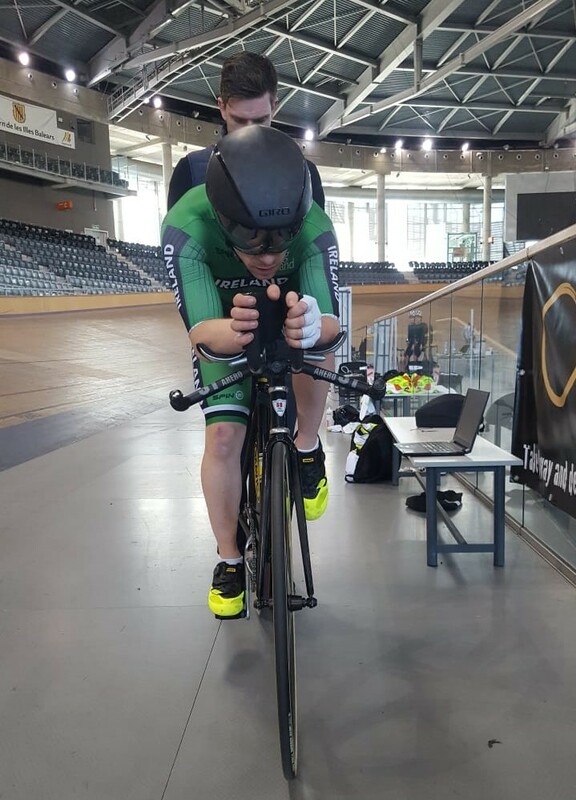 The very best of luck to Banbridge CC's Chris Burns who travels with the Cycling Ireland National Paracycling Team this week to compete at the 2019 UCI Paracycling Track World Championships in Apeldoorn, The Netherlands. Chris competes in the 1km TT, 3km Individual Pursuit, 200m Flying Start and the Scratch Race. It's a busy schedule for him over the 3 days (15-17 March) but the hard work has been put in and form is good, so he can look forward to the champs with confidence. Another Banbrdge CC man, Mark Downey, who recently won a bronze medal at the World Track Championship in Poland famously won a round of the UCI Track World Cup on at the Apeldoorn Track. Here’s hoping he left some of that Irish luck on the boards to help Chris on his way! In Good Hands: Chris at a recent training camp in Majorca in preparation for the forthcoming World Championships, being held by former World Champion Martyn Irvine.